Most of the Australian crime fiction that's showing up in the U.S. lately is in the police procedural mode, from Garry Disher, Peter Temple, and Adrian Hyland. One of the early titles in Serpent's Tail's Mask Noir series, though, was full-fledged hard-boiled noir, frequently reminiscent of Jim Thompson but as frequently reminiscent of Ken Bruen (also first published in Mask Noir): John Dale's Dark Angel. I frequently flashed back on Thompson in the way that Dale evokes low-rent neighborhoods and narrates tough-guy dialogue; and Dale's quirky use of language frequently rises to a poetic phrase, suggesting the kind of gritty poetry that Bruen is famous for (plus the bouncer's handicapped son suggests a theme in the earlier Bruen books). Set in Sydney's tough underground, Dark Angel features a big but not very aggressive bouncer, a tough-girl heroine and her gay, rent-boy brother, and a Chinatown gang connection. Jack Buturov leaves work on the door of a casino and almost without thinking saves Damian, the rent-boy, from a brutal beating, and Damian persuades himself into Jack's bed. One of the interesting aspects of this novel is Jack's willingness to accept Damian's advances in spite of being at least mostly heterosexual, and another interesting theme is Jack's relationship to Angela Frick, Damian's sister, who shows up after her brother is murdered and persuades Jack to help her find the killers (since the police isn't very interested). Angela is the aggressive one in this partnership, rather than being a typical noir dame tempting the detective into action. As the plot develops, there are elements of the California noir of Raymond Chandler and Ross MacDonald: dirty cops, political chicanery, and rich but broken families (very broken, in the mode of some of the most famous L.A. noir stories). With bent cops and Triads chasing him, Angela pushing him onward, and two children (his own and Angela's) threatened, the story propels forward toward a conclusion that, like some of Jim Thompson's, is a bit ambiguous and not very optimistic about the possibilities for an individual to make changes in a rotten system. In fact, the conclusion resonates with events of today, in local and national politics around the world. 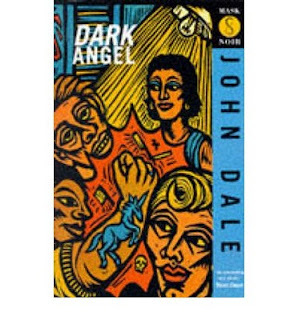 Dale wrote one more novel in the pulp-noir mode, The Dogs are Barking, also published by Serpent's Tail in the U.K., and he won Ned Kelly Awards for both (so he's not really forgotten, in Australia at least). He has a couple of true-crime books and a new, non-crime novel, but the two crime novels deserve to be revived and back in print: They uphold meritoriusly the tradition of noir from Cain to Thompson to Bruen, Pelecanos, and Guthrie. What a striking cover. The only Aussie I have read is Patricia Carlson who was great. Have to try some of the others. Great cover.